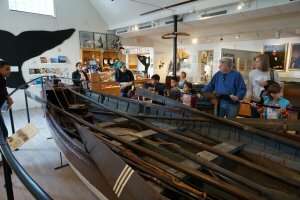 Come join The Whaling Museum of Cold Spring Harbor during the Path Through History weekend! Guests will learn about how whalers and sailors used different signal flags to communicate while they were out to sea. Kids will create their own signal flags to take home.